Chinese-English | Press release of Leelee Chan’s solo exhibition Core Sample, Capsule Shanghai. Chinese-English | Artsy review: Cheng Xinyi, Hu Zi, Sarah Faux – "Female Gaze" under Multiple Perspectives. Chinese-English | Short story The Riptide, written by Ling Lan, published on Literature, 2018 Issue 4. ​English-Chinese | 2018 Prison Census Report and 2018 Killing Report, Committee to Protect Journalists. ​Chinese-English | Essay & Statement, Ellen Pau, What about Home Affairs? -- A Retrospective, Para Site, Hong Kong. Courtesy of the artist. Graphic design by Luo Jr-Shin. English-Chinese | Exhibition materials, Cyborg Dates (artists: Douglas Rieger & Wang Haiyang), Capsule Shanghai. ​written by Anne Carson, Music by David Lang, New York. English-Chinese | Storytelling with Gail Levine, Dream! It's a Family Festival, the High Line, New York. 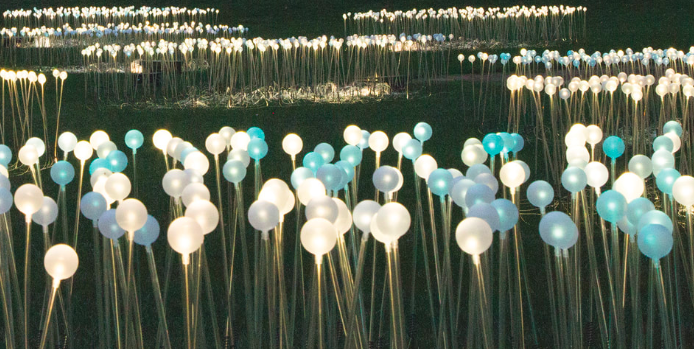 English-Chinese | Exhibition materials, Bruce Munro at Montalvo: Stories in Light, the Montalvo Arts Center, Saratoga, CA. English-Chinese | Press release, Howie Tsui: Retainers of Anarchy to OCAT Xi'an Museum, the Vancouver Art Gallery. Chinese-English | Press release, Maya Kramer: Decoy, Capsule Shanghai. Chinese-English | Interview with Zeng Fanzhi for exhibition Zeng Fanzhi: In the Studio, Hauser & Wirth, London, Zurich, and Hong Kong. English-Chinese | Press release, Grace Weaver: Best Life, James Cohan Gallery, New York. English-Chinese | Exhibition materials, Guo Pei: Couture Beyond, Vancouver Art Gallery, Canada. Chinese-English | Interview with Zhao Xu, Dried Lotus, Zhao Xu Painting Collection, Zhonghua Book Company, Beijing. English-Chinese | Exhibition brochure and public program materials, FOLD: Golden Venture Paper Sculptures, Museum of Chinese in America. Chinese-English | Menu and anniversary review, Hao Noodle and Tea restaurant in west village, New York. ​The Reciprocal Translation Project, Roof Books. English-Chinese | 2017 Prison Census, Committee to Protect Journalists. English-Chinese | 2016 Annual Report, Committee to Protect Journalists. English-Chinese | Darkened Screen: Constraints on Foreign Journalists in China​, PEN America. English-Chinese | Exhibition and program materials, Sour, Sweet, Bitter, Spicy: Stories of Chinese Food and Identity in America, Museum of Chinese in America. Chinese-English | Interpretation for poet Yan Li, interviewed for documentary Beijing Spring, AC Films Inc.
English-Chinese | Exhibition brochure, title wall, public programs, Stage Design by Ming Cho Lee, Museum of Chinese in America. 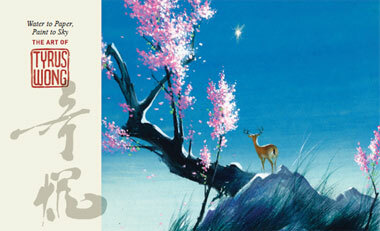 English-Chinese | Press release & artist information, Water to Paper, Paint to Sky: The Art of Tyrus Wong, Museum of Chinese in America. English-Chinese | Exhibition brochure, Waves of Identity: 35 Years of Archiving, Museum of Chinese in America.